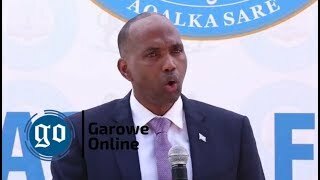 MOGADISHU, Somalia-Somalia’s Federal Government (SFG) has marked International Mother Language Day, 2016 with a big event in Mogadishu on Sunday, Garowe Online reports. 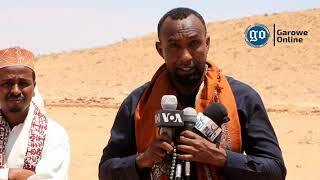 Deputy Prime Minister and Justice Minister Gen. Abdullahi Ahmed Jama (Ilka Jiir) has led Mother Tongue Festival, with other cabinet members, security officials, women and youth groups as well as Banadir regional administration in attendance. 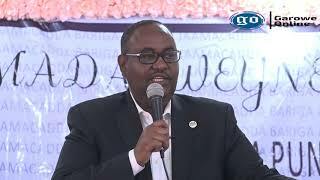 The Minister for Justice, Jama has initially congratulated Somali people everywhere on the Mother Tongue Day, pledging that his government will give further prominence to Somali language in every aspect of social life in the country. “Mother tongue is enriched with history, culture and heritage we should be proud of, or target for progress. When you look at developed nations worldwide, one finds out that it’s not because of foreign language. 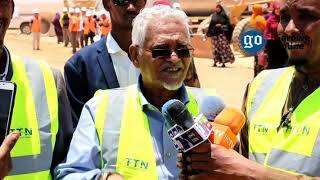 We must be proud of our language and use it as a medium,” he stressed on the occasion of Mother Language Day. 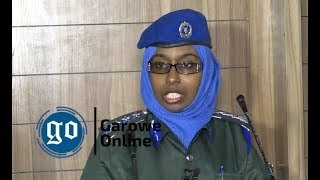 Banadir Governor Yusuf Hussein Jimale conveyed similar message, saying all billboards gracing government offices will be written in Somali. 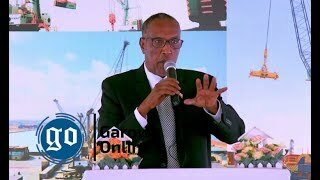 International Mother Tongue Day has been commemorated under the theme: “Stand by Mother Tongue,” in Somalia.